I firmly believe that one of the best ways to learn especially for children is through hands-on activities. 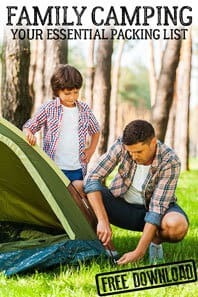 Most children are Kinesthetic learners – they learn as they do things and making them listen, write and read for their learning without that hands-on experience can hold them back and switch them off learning. 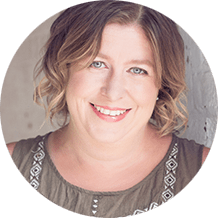 With toddlers and preschoolers, this is especially important – they are active little people and worksheets really don’t have a place for learning with these children. That is why games and activities are so important especially when looking at the foundations of a subject. Today we’re sharing another maths game for toddlers and preschoolers – this one is easily adaptable, takes very little time to set up and is perfect as a simple maths centre activity that children can go and use themselves when they want. 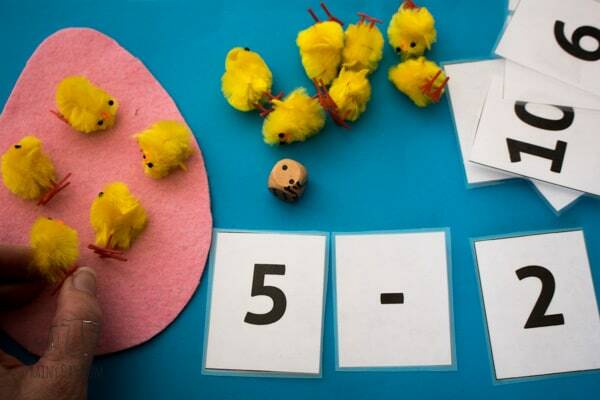 As it’s nearly Easter and spring is in the air we’ve got an ‘egg’cellent maths idea for you with this DIY Egg and Chick Maths Game. 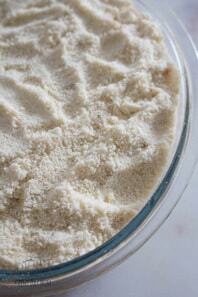 We have included affiliate links to the products we used and resources we recommend. If you purchase via these links we may earn a small commission. Check out this frog math game ideal for some more spring based math centre activities. 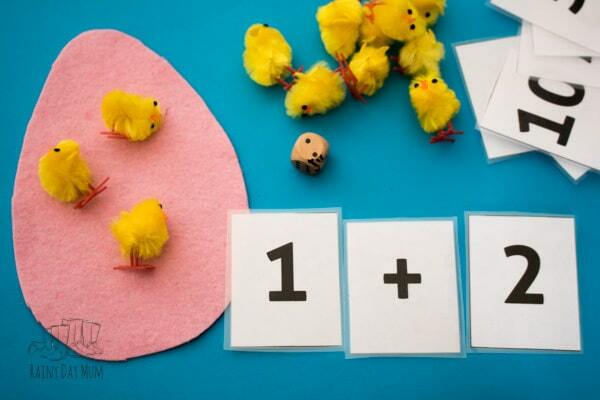 Print out 2 sets of number cards – you can find our FREE set as a gift from us when you join our Hands-on Activities for Toddlers and Preschoolers newsletter. Laminate the cards so that you can use them again. On the felt draw out an egg shape. I love games that are versatile and this one is. 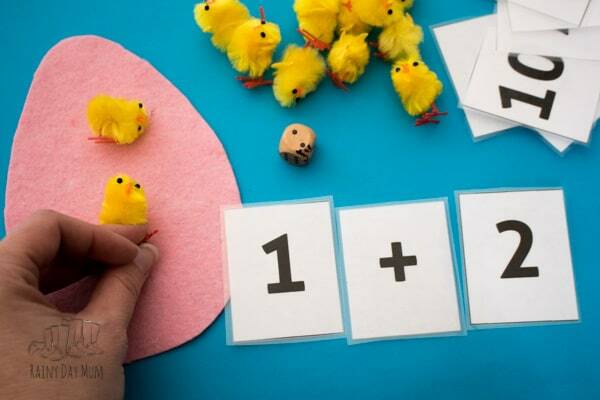 Check out the ideas below of how to play with this DIY Maths Game – choose a level appropriate for your child or children and help them learn. 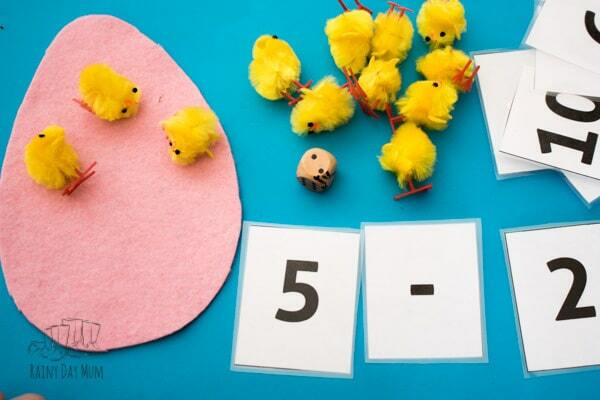 Lay the number cards face down and ask your child to pick one randomly. Ask them to read the number or help them read the number. Then count out the number of chicks to go in the egg and lay them on the egg. 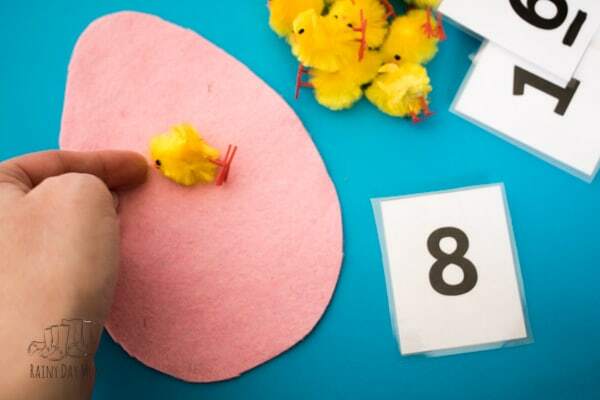 You can also lay the cards facing up and then ask your child to count out the number of chicks that you have laid on the egg and select the correct card. 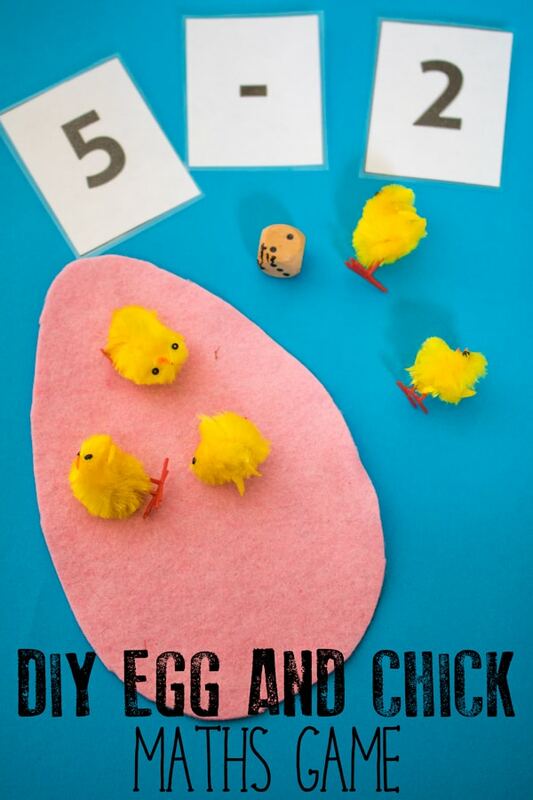 Roll a die and find the number card that matches the number of chicks. Add those chicks to the egg. Now using the ‘+’ sign find the number card and place in a number sentence. Add those number of chicks to the egg. 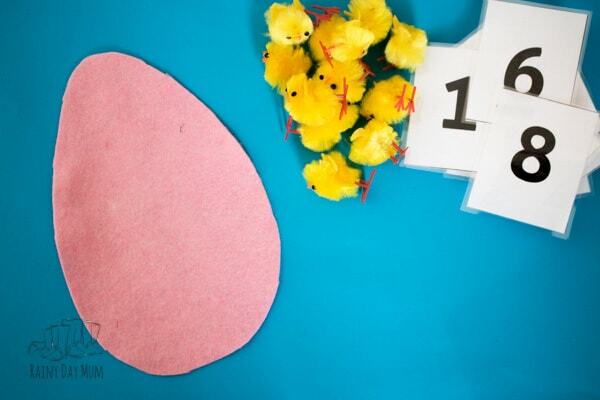 Count out the total number of chicks you have in the egg. 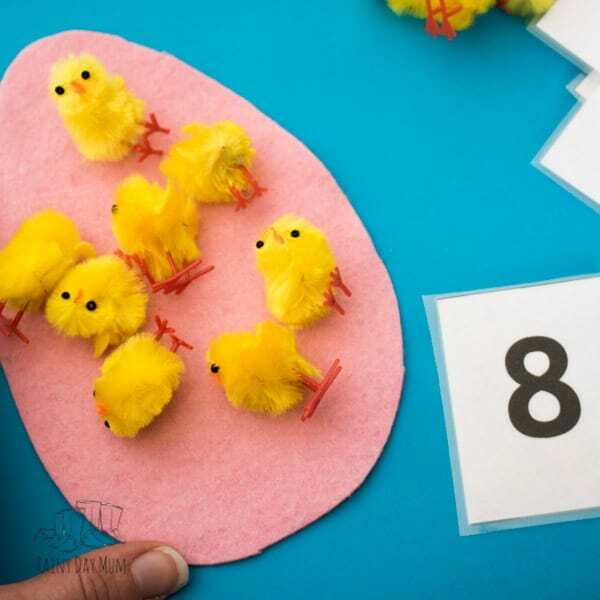 Lay your 12 chicks on the egg and place the number 12 card alongside followed by the ‘-‘ sign. Add the number on the die to the number sentence. Remove the number of chicks from the egg. 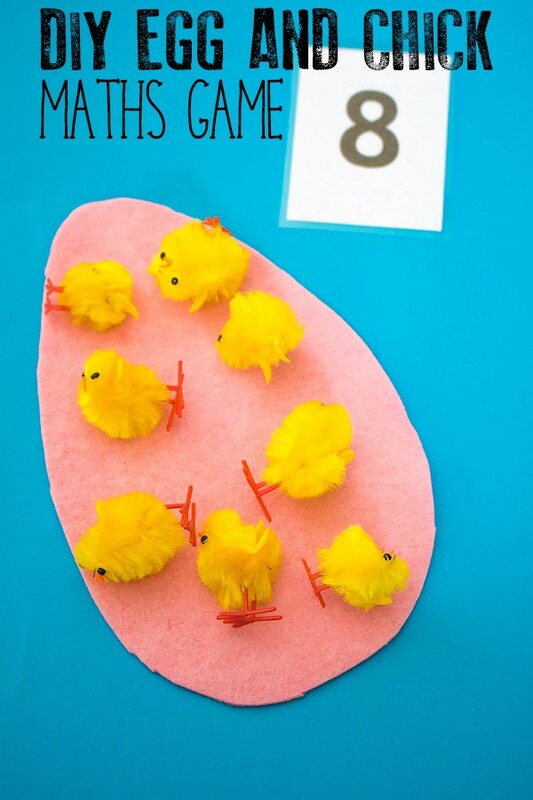 Count how many chicks you have left and find the number card. 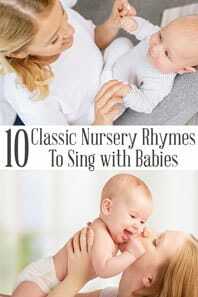 Each week here on Rainy Day Mum we share a fun hands-on activity for toddlers and preschoolers with you as part of the Virtual Book Club for Kids and connect this with a featured book perfect for reading alongside the activity as well as some other ideas and activities to do around the same theme. This week’s theme is Egg’s and our chosen book is the fantastic The Easter Egg by Jan Brett. This beautifully illustrated book is a wonderful addition to your children’s bookshelf that will continue to delight for years to come. 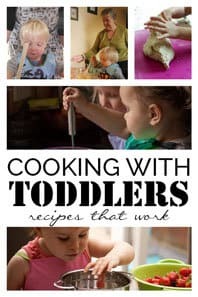 Each Monday here on Rainy Day Mum is Toddler and Preschool day – where we share activities, crafts and recipes that are aimed specifically at toddlers and preschoolers to help them learn, play and create with age-appropriate materials. 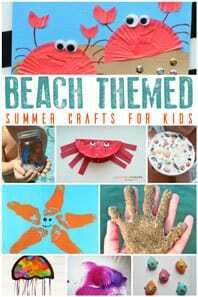 We also offer book suggestions and further activities in each post from the team behind The Virtual Book Club for Kids a way to connect, create and have fun with children’s picture and story books. 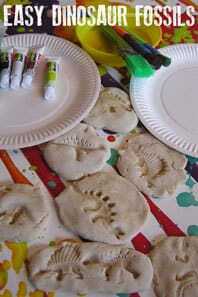 It’s easy to join in with us you can sign up for our weekly activities newsletter where I share the week’s theme, featured book and our brand new activity here on Rainy Day Mum as well as any resources that we have made for the theme available exclusively for subscribers to the newsletter. Just fill in the box below and you will receive the number cards as your gift for joining us this week as well as the following Monday the latest activity to share with your children. If you are on Facebook we invite you to come and join our Virtual Book Club for Kids Facebook Group where myself and the other cohosts each week jump in and answer questions, provide more literacy ideas and share further activities with you. Check out these other ideas for connecting and creating with books with this week’s Egg Themed Activities and Crafts for Toddlers and Preschoolers. Previous Post: « Spring Bucket List for Families to Enjoy!